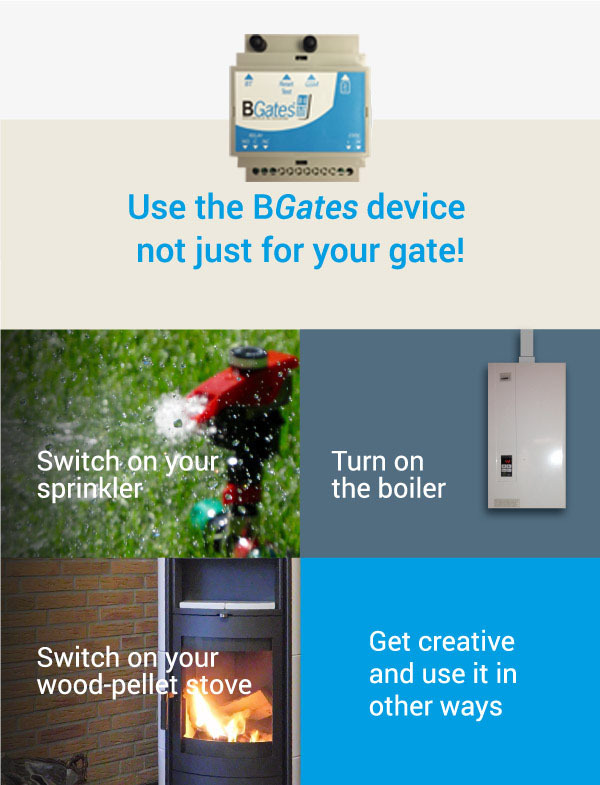 BGates | OPEN YOUR GATE WITH YOUR PHONE! OPEN YOUR GATE WITH YOUR PHONE! No more remote controls: activate the electric gate at home or at work directly using your mobile. It’s easy, quick and practical. 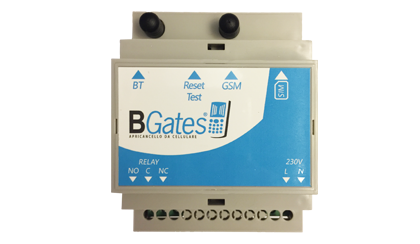 BGates is a device which may be used on any automatic gate, which, via a phone SIM enables you to open a motorised gate using a simple free call from a mobile or a click on the APP freely downloadable onto IOS and Android phone. Replace your old remote control and manage all automated openings directly using your phone. 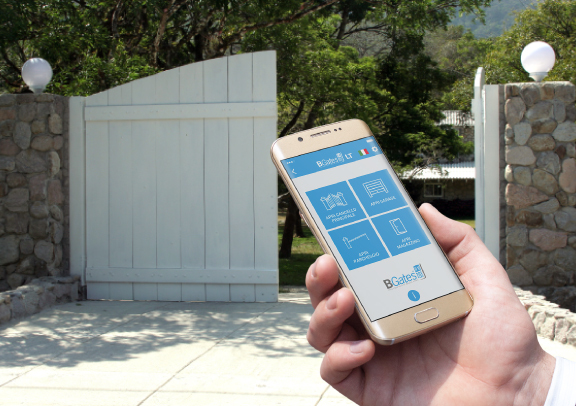 Instal the BGates LT device on your automatic gate and you will be able to open it conve-niently from your smartphone wherever you may be. All it takes is a phone call or use the practical APP, which enables you to control up to 4 different gates fiited with the device. access times and days. Suppliers and staff who are enabled will no longer need remote controls; all they will need is a free call from their mobile or instal the practical APP. 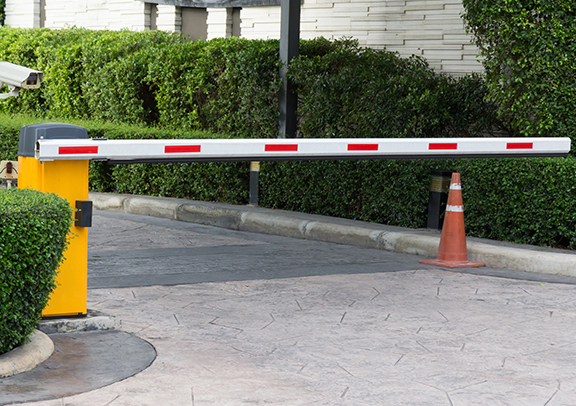 Open the electric gate directly using your mobile! Suggest BGates Business to the administratore of your block. ARE YOU AN APARTMENT BLOCK ADMINISTRATOR? Discover what we have created for you! Visit the site dedicated to administrators.